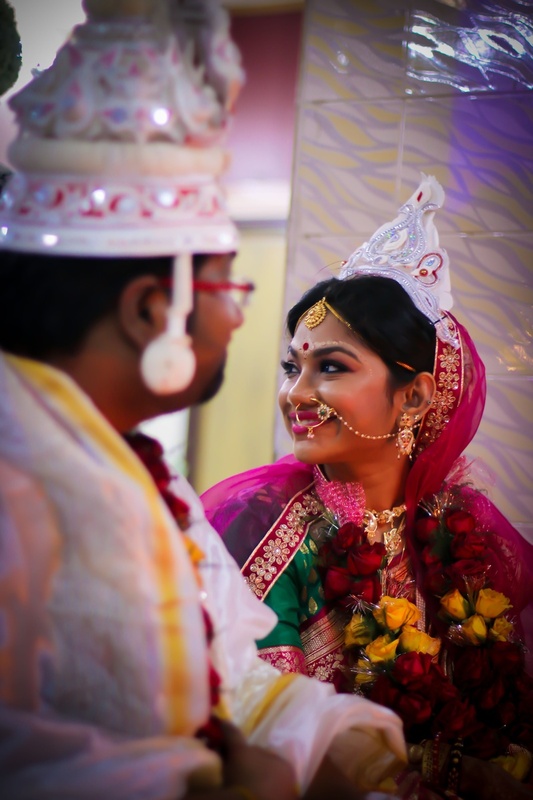 A True Blue Bengali Wedding Ceremony. Bengali weddings never disappoints and is always a treat to watch! 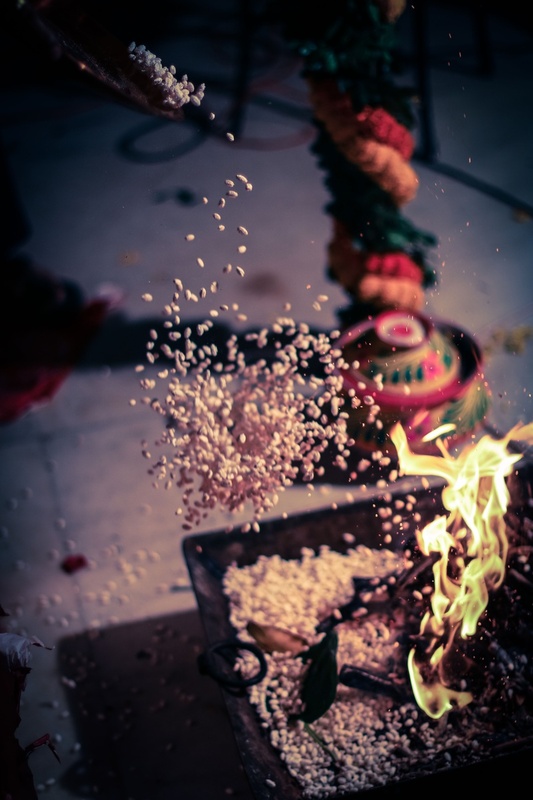 For one reason we witness the ‘Misthiness’ at its best, the traditional rituals and ceremonies always bring truckloads of excitement. 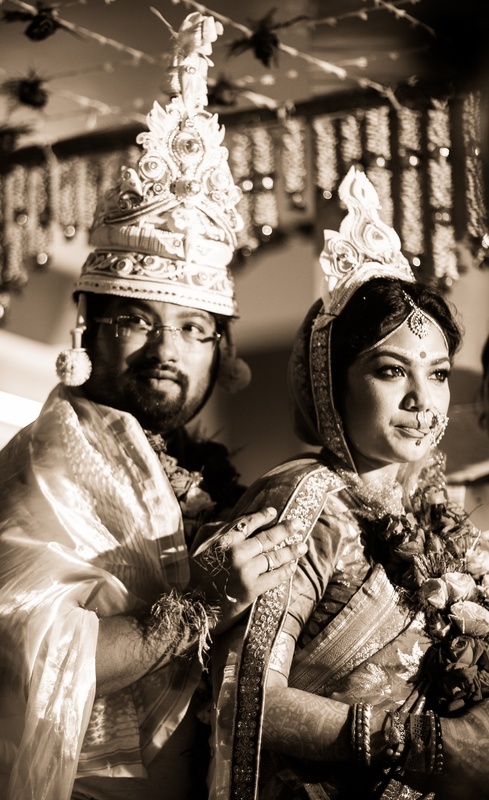 Arijit and Hansaduti’s special day took place in the Royal Garden, Kolkata. 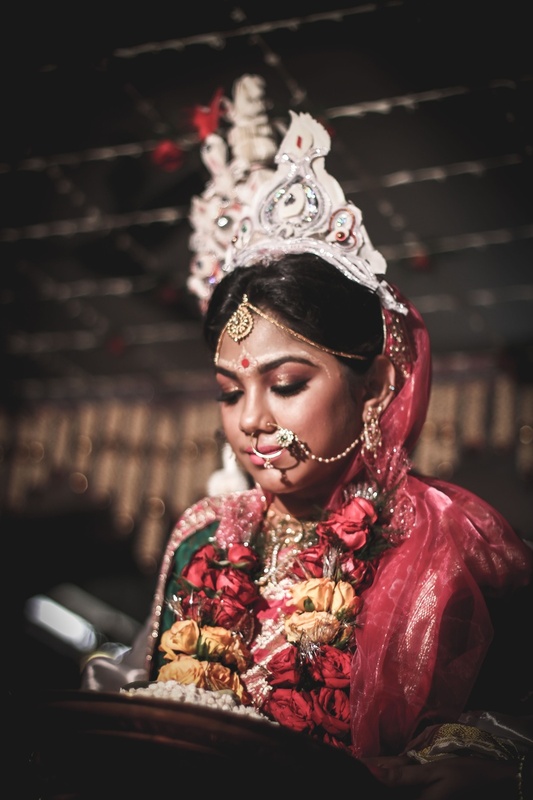 The bride embraced a spectacular Banarsi saree with an artistic Bengali bridal make-up. 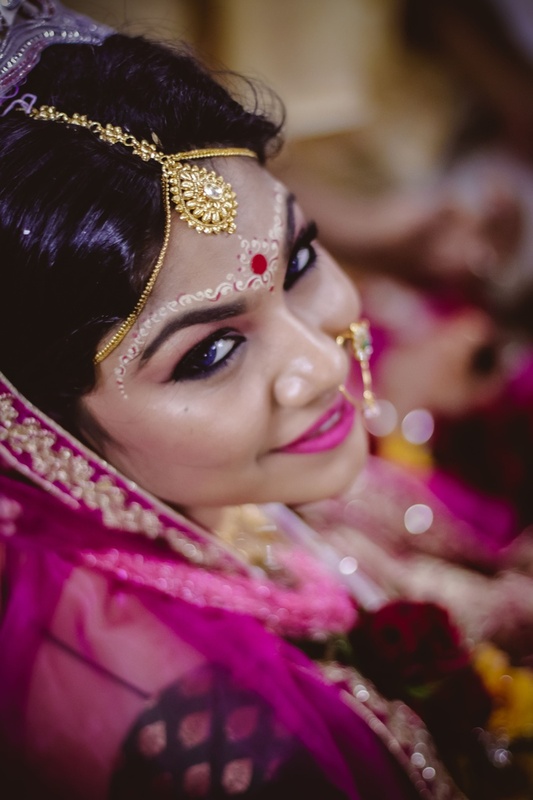 The signature red and white dot ran across the bride’s forehead and had a red bindi in the center. 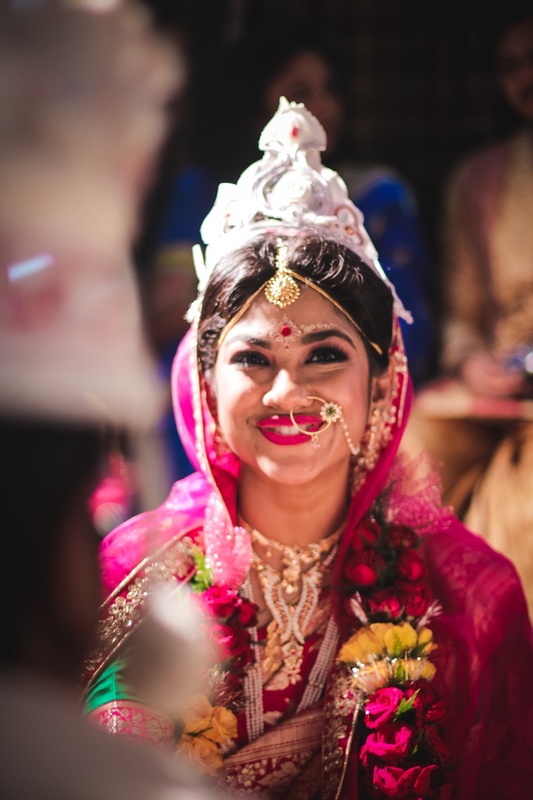 She also wore a unique set of jewellery consisting of a mang tikka on the temple, a delicate nath and a pair of gold ear rings. 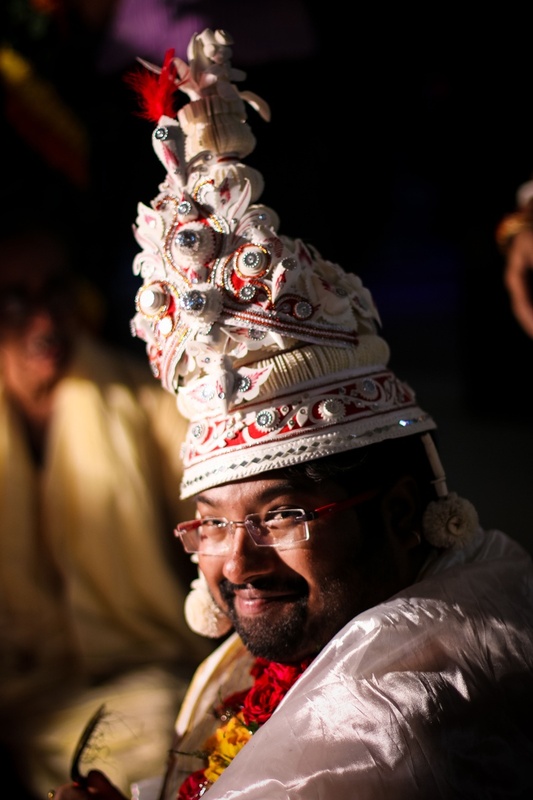 The couple also wore the traditional conical Topor made up of sholapith- A milky white sponge that’s wonderfully crafted into the wood. 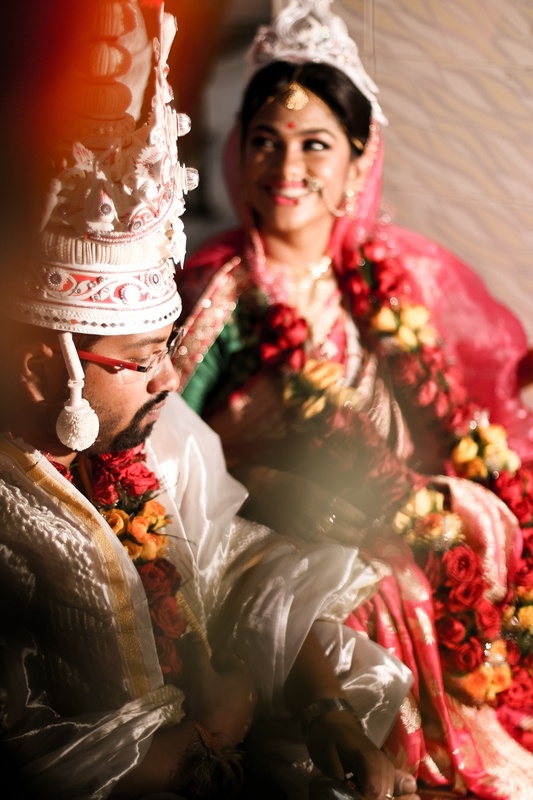 It is also said that this quirky headgear brings good luck and prosperity in one’s married life. 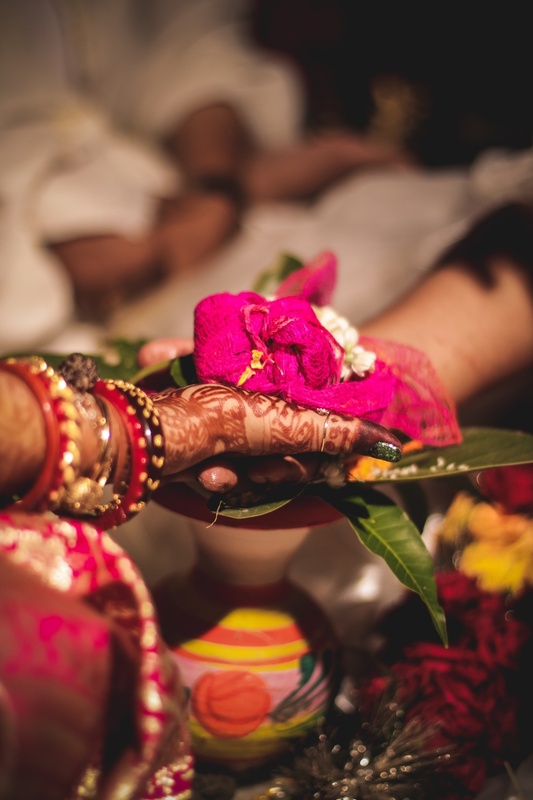 During the marriage ceremony 7 members from the bride’s family escorted her on a wooden platform called ‘Piri’ all the way to the mandap.